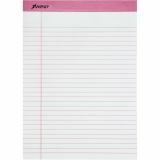 Ampad Pink Writing Pad, Legal/Wide, 8 1/2 x 11, Pink, 50 Sheets, 6/Pack - Perforating writing pads support a great cause. 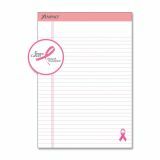 A portion of the profits will be donated to the National Breast Cancer Foundation to support breast cancer research and education. 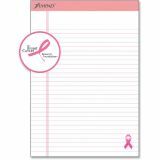 Pad is made of the highest quality paper imprinted with the pink ribbon which symbolizes this worthy cause. Design includes heavyweight 60 point backing. 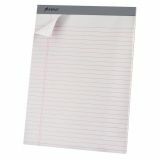 Sheets are microperforated for clean and easy sheet removal. 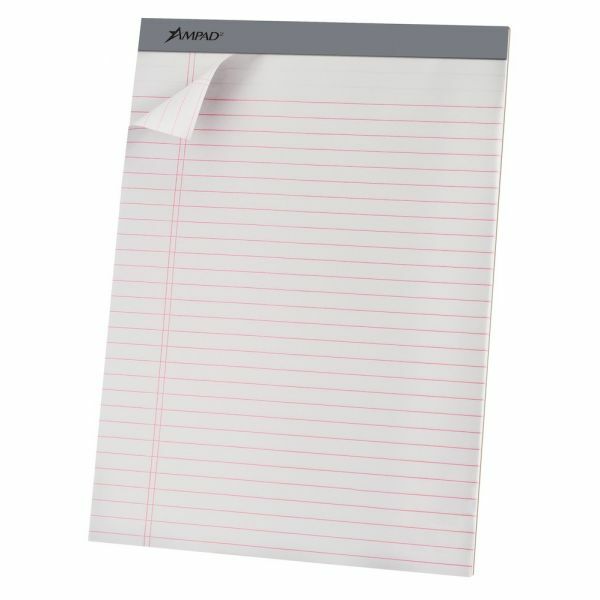 Each writing pad contains 50 sheets of 20 lb. white paper.